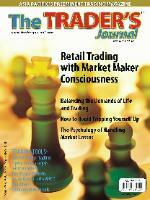 TradersExpo, CA, (June 2008) --- Suri Duddella explains how he uses the 2B pattern to both buy and sell. TradersExpo, CA, (June 2008) --- Suri Duddella demonstrates how he uses the Dragon pattern to find trading opportunities using weekly or even hourly data. "Bulls, Bears and Brains: Investing with the Best and Brightest of the Financial Internet"
"Trading Variations in Double Tops and Double Bottoms"
"In Phase with The Market "
"Three Line Price Break Charts"
"The Mathematician Meets the Markets"
Best and Brightest of the Financial Internet"